The crash occurred just after 8 p.m on Thursday, Dec. 6. M-40 was shutdown between Industrial Drive and Cabill Drive. Police said the driver involved is cooperating and speed does not appear to be a factor. HOLLAND, Mich. - A portion of M-40 was shutdown Thursday, Dec. 6 in Holland after a car hit and killed a pedestrian. The crash occurred just after 8 p.m. 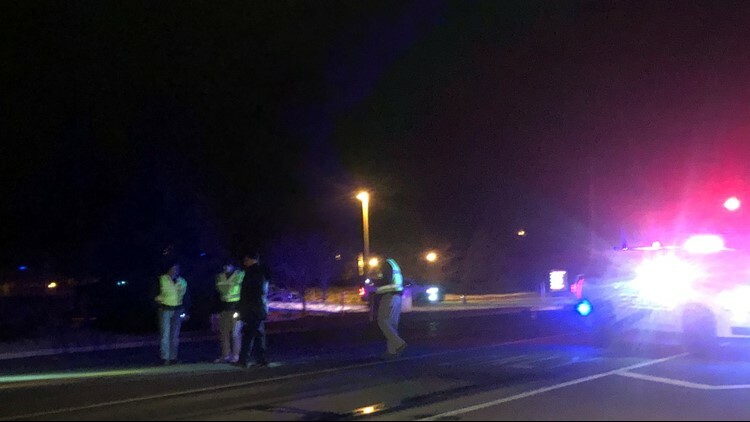 According to Ottawa County Central Dispatch, police and first responding units were still on scene as of 8:45 p.m.
M-40 was shutdown between Industrial Drive and Cabill Drive. Police have identified the victim as 37-year-old Michael Johnson of Allegan. He died at the hospital after being hit while crossing M-40 near Waverly Road. Police said the driver involved is cooperating and speed does not appear to be a factor. A witness that was not involved in the crash told police he almost hit Johnson, too, because he did not see him until the last second.